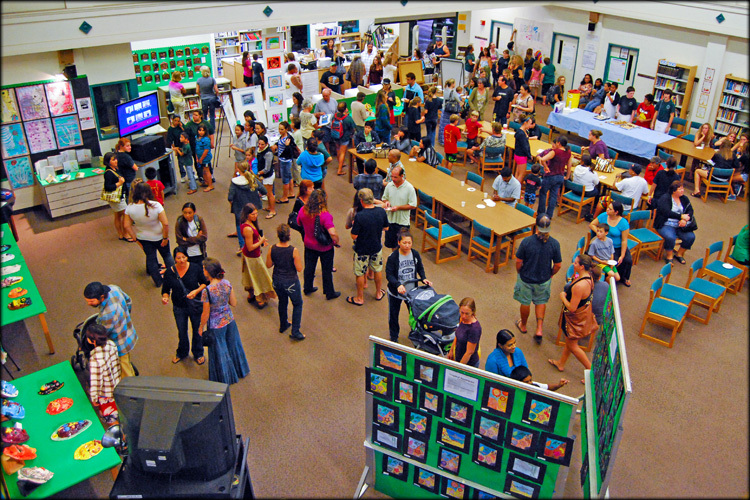 Families, faculty, and community members were invited to enjoy an evening to celebrate the hard work and talents of Kapaa Middle School students in their Elective classes. Basketball and square dancing kicked things off, followed by chorus and ukulele performances and delicious cookies made by Home-Ec students. The Science teachers also joined in this year with interactive labs and demonstrations for a combined event. The Art display was enhanced this year with our purchase of professional display boards! This was an exciting development from last year when I was literally hanging artwork from the window-blinds. It was impressive, if I do say so myself! Chris did a fabulous job with his media crew, and live-streamed the whole event on Kauai Stream. Other media included a sneak peak of the Yearbook, Computer Class projects, photography, and viewing/listening stations highlighting the GT Media students’ films. Thank you to everyone who helped put on this fun and successful event! Not only do Kapa’a Middle School Art students learn how to make different types of Art, they learn how to analyze and interpret too! Learning how to process and make sense of a variety of different cultural artworks and styles begins with the right vocabulary and a system for identifying the various parts of a whole. 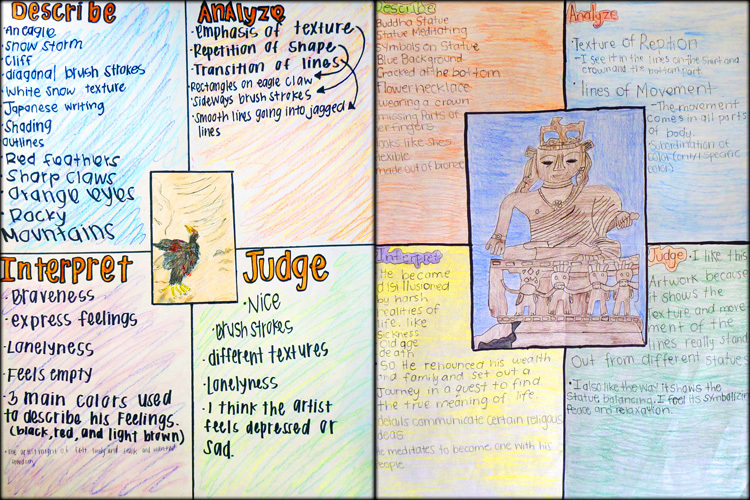 Students worked in pairs to create poster-sized charts that describe, analyze, interpret, and evaluate a variety of Art. Understanding a work of Art involves peeling away layers to reveal meaning. The process is multifaceted, involving the artist’s intention, the context in which the art was created, and also the personal experience and values of the viewer. Through the process students learned a strategy for approaching artwork (especially works that are unfamiliar or confusing) and also a little more about themselves. A variety of KMS student artwork was entered for consideration. Everything including, ceramic masks, copper repousse, drawings, and paintings are currently on display for viewing. The following students received ribbons (in the order pictured above): Chloe Matsuda, Kahiwahiwa Davis, Katie Spaethe-Peterson, Maile Miyake, and Mainei Kinimaka. Congrats! Rumor has it that Kapaa Middle School’s Elective Night was the best school event of the year thus far! We packed the house with students, parents and faculty who came in support of our elective classes. The evening’s events included a television broadcast demonstration and introduction from our G.T. Media students, choral and ukulele performances, a gallery of student artwork on display, delicious cookies made by our Home Economics students, videos and graphic design by the G.T. Media class, a “Doodle Wall” art activity, and a silent Art Auction. A special thanks to our PTSA for supporting our programs and helping to organize the Art auction! The money we earned will go towards purchasing more art supplies for our growing Art classes! 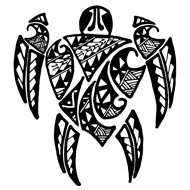 Click the image above to see video I made that promotes each elective class at Kapaa Middle School. You’ll get a sneak peek into the KMS elective classrooms! As elective teachers, we like to provide fun, hands-on, real-world learning experiences that also support the core curriculum. Enjoy! Note: Registration for next year is happening this month… please see the calendar for specific dates. Kapaa Middle School art students recently finished an oil pastel project after studying the artwork of famous Expressionist artists, including Vincent Van Gogh, Edvard Munch, Franz Marc, and Wassily Kandinsky. The main requirement for this assignment was to try to express an emotion using Expressionist techniques such as vibrant and intense color, simplified forms, and swirling directional lines. 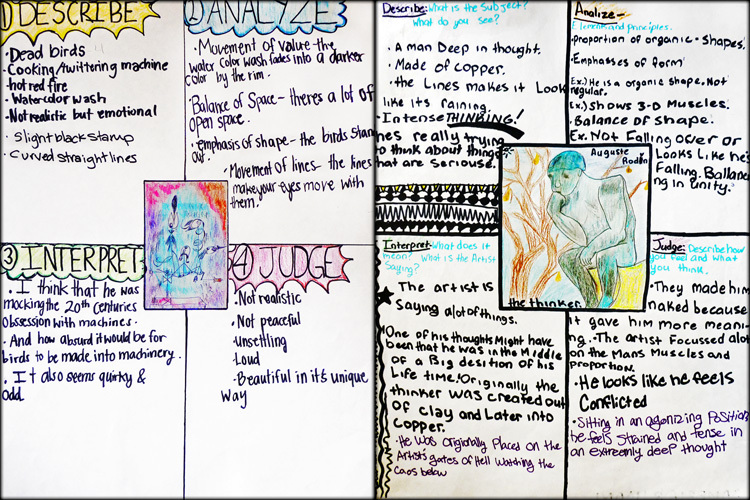 Middle school years can be an extremely emotional time in one’s life, and our students really connected with the strong emotion and “drama” that is characteristic of the Expressionist style of art! The above video is an animation that was adapted from a talk given by Sir Ken Robinson, world-renowned education and creativity expert and recipient of the RSA’s Benjamin Franklin award. I found Sir Ken’s reasoning to be brilliant, and the animation was extremely clever and revealing! I would like to invite your personal responses and commentary!